You're only going away for Christmas, it's not completely as if you're going into battle. Take a few steps now to make sure that you're going to be able to keep working with your hardware if you need to —and will have some entertainment to enjoy if you don't. It comes down to this. You're leaving civilization. You're going to a wild crazy land where your folks might even still be on dial-up. Assuming that you can't, though, what you need to do is have fully charged devices, extra batteries, a tethering plan and plenty of media. It is remarkable how many people are still using dial-up and they do all seem to be related to you. Even if they have Wi-Fi, though, the odds are that they just aren't as concerned about it as you need to be. Maybe they accept slow speeds because they don't do much online and anyway they haven't seen it go any faster. Or perhaps they're fine with intermittent broadband because as they keep telling you, it's the holidays. Stop working. Whether it's because you're trying to be polite about that or because everybody else is sneaking time on the Wi-Fi and causing connection issues, be prepared to use your cell connection instead. If you're just traveling with an iPhone or you have a cellular iPad then you're probably set —but not all plans include tethering if you have non-LTE devices, so that's worth a check before you hit the road. You still need to watch how much you download, especially if you've travelled to family outside the US, but it should get you online. This might be the time to switch on iCloud's Desktop & Documents feature. This ultimately gets you the entire contents of your Mac's documents folder plus anything you've dumped on your desktop. It can all be right there on your phone, your iPad or your MacBook. It can even all be there if you're absolutely stranded and have to use the family's PC. Just go to icloud.com and right next to the icons for Pages, Numbers and the rest there is one for iCloud Drive. It is one of the handiest things Apple has ever done for us. 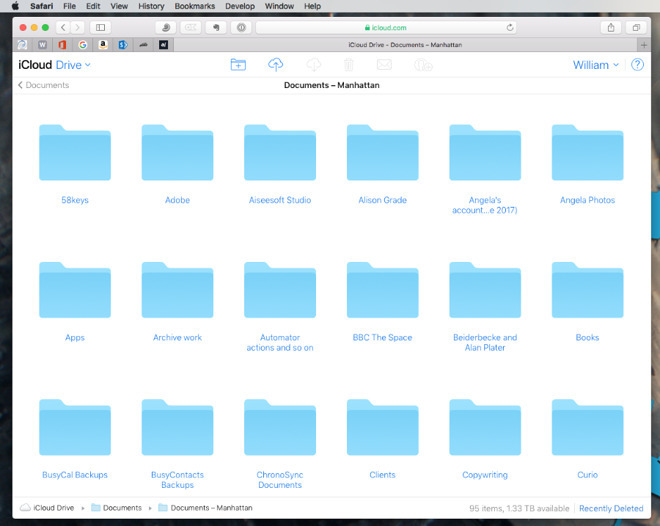 With iCloud's Desktop & Documents feature, you can have all your work with you on the holidays. Yay. Desktops & Documents works when there has been time to upload everything to iCloud and if you have a lot of work or a slow internet connection, it's going to take a while to get there. Equally, it's no use to you having a terabyte of work files in iCloud if there's no decent Wi-Fi and your cell signal is patchy. So be prepared. Switch on iCloud's Desktop & Documents feature —the odds are that you'll have to pay for more iCloud storage but it is worth it —and also load up your device with your most important or urgent work files. That also applies to power. We're not seriously saying that your family's house is going to be short on power points but they have gone mad with the Christmas lights. Plus of course you will be traveling to them and it could be a long journey. Bring power. For the journey and for those times it's just not possible to plug in anywhere at your family's home, bring something portable like an Anker charger. If you emptied our bags and pockets, you'd find any number of different Anker products we've bought over the years, but right now we'd say the Anker PowerCore AC is the one to buy. It typically costs $149.99 so it might be overkill if you're just spending one night with the folks, but get it and you're going to use it forever. 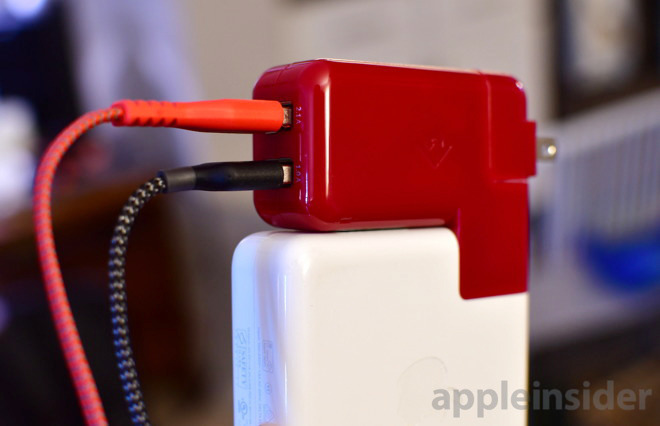 This model will recharge a 12-inch MacBook and still have some left over for your other devices. If you're carrying a MacBook then of course it already comes with a power plug but you can get it to do more than solely charge your computer. Add the TwelveSouth PlugBug Duo for $49.99 and you can use it to charge the laptop, iPhone and iPad. You know that the moment anyone sees you've got these chargers, they're going to be asking how the devil you are, slapping you on the back, and holding out a cable. For them and for you if you have more devices, also look at the Anker Premium 60W 5-Port Desktop Charger. 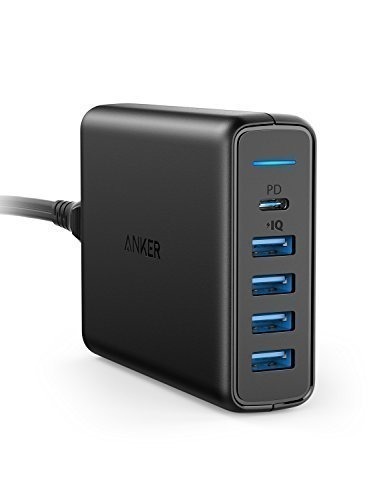 Anker's 5-port charger. Have you gathered that we rate Anker? 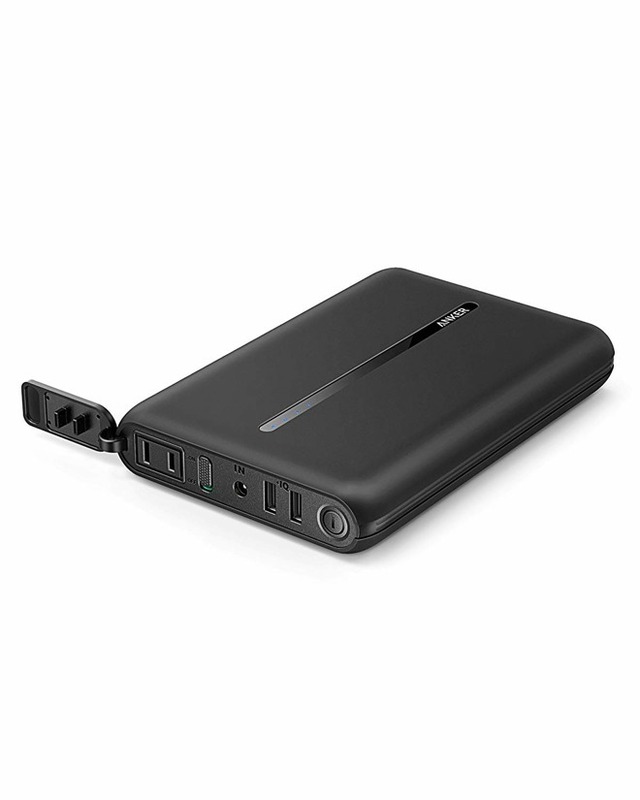 Anker does ones with more ports —we've used and very much like the B00YRYS4T4 —but this one is the best value. That's partly by price as it costs $49, but also because its five ports are made up of four USB-A and one USB-C. Other models are solely USB-A. We do have some sympathy to the idea that you should talk to people this holiday season and we accept the theory that you could stop working for a while. However, there's a compromise: you could also load up your devices with films, books, music and podcasts. 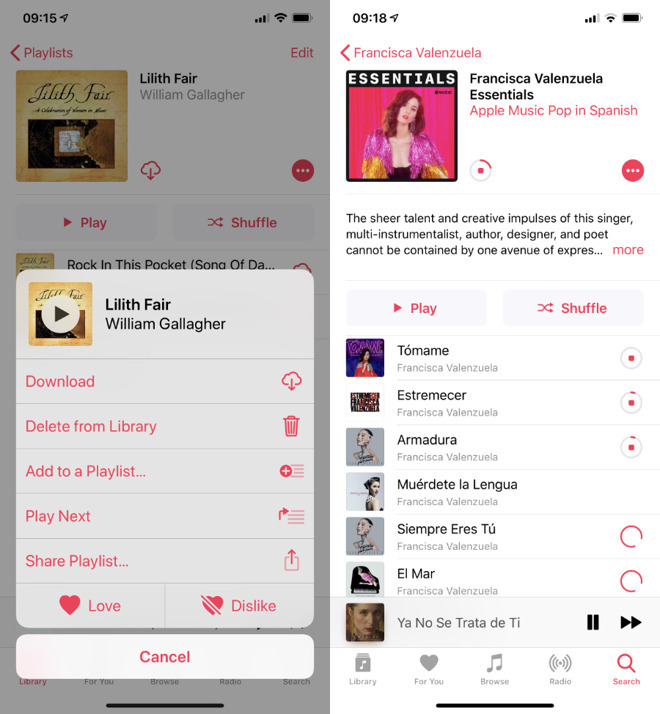 If you're an Apple Music subscriber, take a few minutes to select some playlists or albums and tell it to download them to your device. That way you won't get short on aircraft with nothing to listen to. Similarly, if you use iTunes then on your iPhone, iPad or MacBook you can pick films and TV shows to download in advance. Netflix now lets you download many—but far from all —its programs in the same way. Our iPad has Mission: Impossible (left) and Pride & Prejudice (right). We're eclectic. Do try some audiobooks too. In December 2018, Apple Books released five classics on audiobooks for free and read by actors and performers with superb voices. Kelsey Grammer's narration of HG Wells' The Time Machine and Kate Beckinsale's reading of Jane Austen's Pride & Prejudice are particularly good. There are also regular books to read yourself on Apple Books and whatever your device is, from MacBook to iPad, you can read Amazon Kindle titles too. The holidays are a time for relaxing with something good to read but remember that this could be catching up on the articles you always meant to get around to. 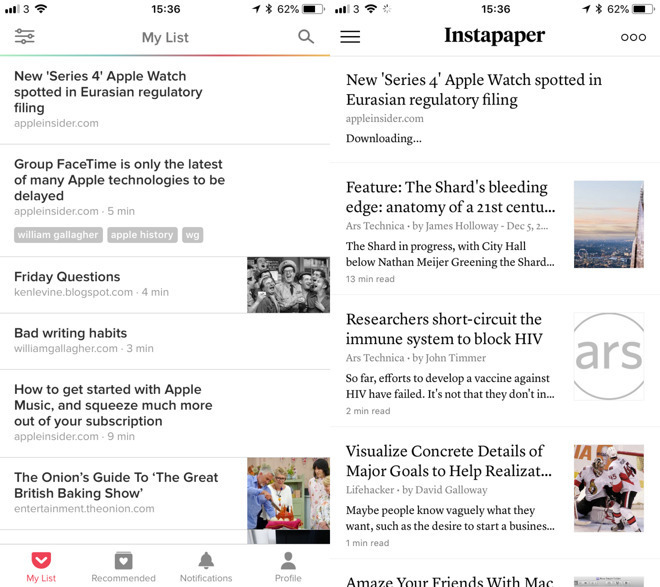 This is also better if you take some time to do it in advance, but even as you queue for the airport you can be finding articles online and saving them them on a read-it-later app. The two best of these are Instapaper and Pocket. Right now we can't call it —both are excellent and we bounce back and forth between the two practically at random. This has all been about what you should do to prepare for the holidays and we don't just stand by it, it's what we're doing right now. 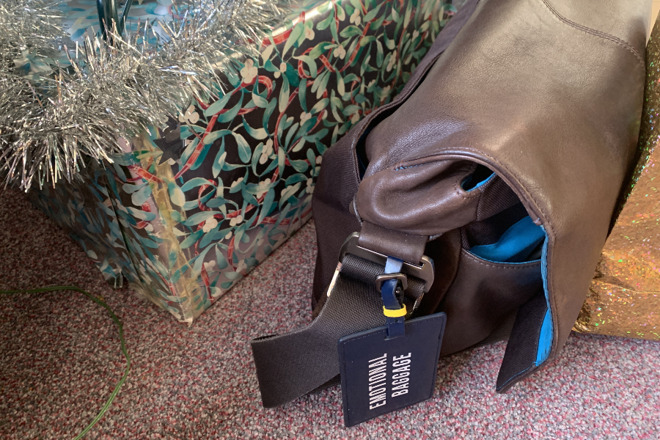 Only, as we publish this, it is Christmas. There's got to be a decent chance that you'll end up having a glorious time and never once thinking of your devices. It's just great to be covered when you do.